AMC’s Fear the Walking Dead is officially back on our screens with the second half of its sophomore season, which has been markedly better than Season One — but still leaves many critics wanting. 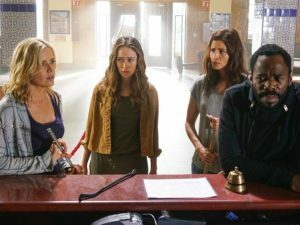 As the show amps up the stakes over the next eight episodes, Travis and Madison’s families are torn apart and scattered in different directions. 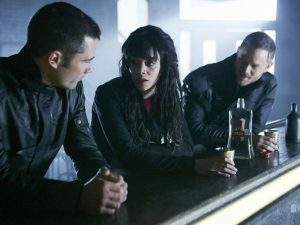 Also this week: Syfy’s Friday night line-up heads toward the end of its summer season, as the Killjoys plan to free Old Town from Jelco’s control and Dutch finds herself in over her head. 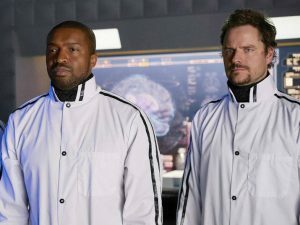 On Dark Matter, the crew infiltrates the high-security headquarters of a major galactic technology conglomerate. “Johnny Be Good.” Pawter’s plans to free Old Town from Jelco’s control get Dutch seized by an angry mob. “Going Out Fighting.” In a desperate hope to save their ailing leader, the crew attempt to pull off a dangerous mission inside the headquarters of Dwarf Star Technologies. 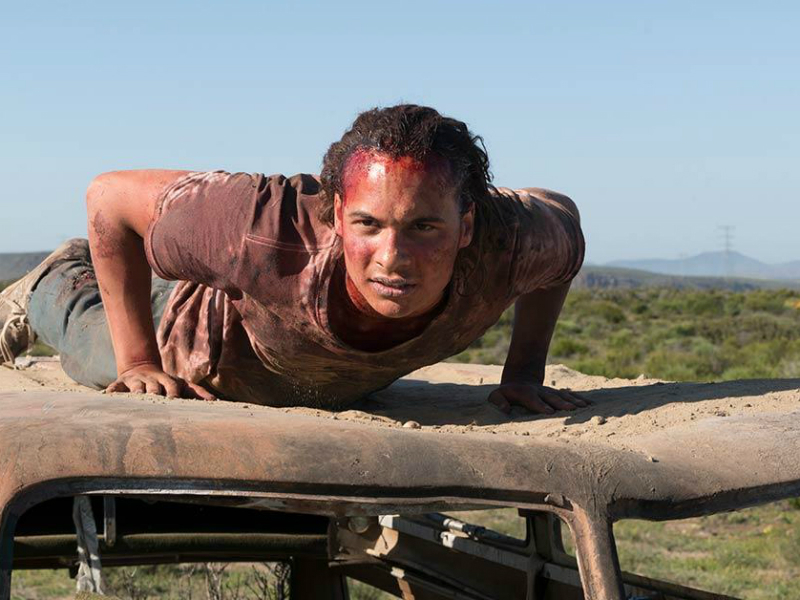 “Los Muertos.” Madison, Strand and others move forward after the compound falls; Nick gets picked for a dangerous assignment.